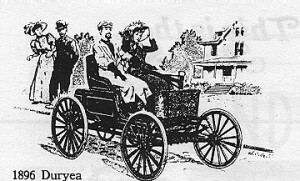 With this car, an industry began. First to be produced in quantity (13 were built in Springfield, Mass. ), first to be sold to customer. It was designed by J. Frank Duryea. Basic design has changed little since this car. It had left-hand steering by a wheel, front engine behind a radiator, sliding-gear transmission with clutch, shaft drive. Designer: Hiram Percy Maxim. 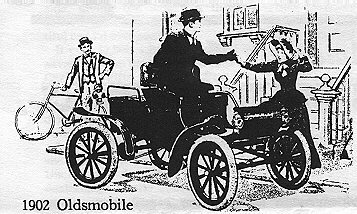 Although primitive in design, the curved-dash Olds was out first mass-produced gasoline car. Reliable, quiet, it sold in volume. Production jumped from 425 in 1901, to 3299 in 1902, 5000 in 1904. Proving that cars could be top-quality machinery, this touring car established a reputation for reliability. 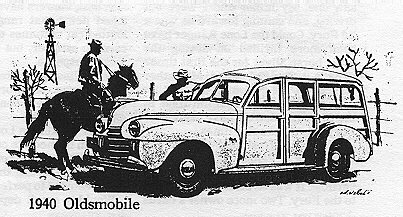 It had a cast-aluminum body with rear doors, steering-column gear shift, battery ignition. 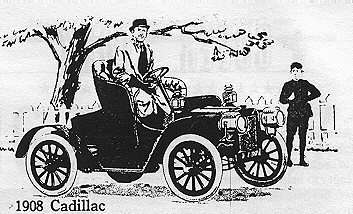 Interchangeability of parts was proved when three 1908 Cadillacs were torn down, the parts of all three scrambled and the cars reassembled to run perfectly and win the famed DeWar Trophy. More than a car, the legendary Model T was a symbol of America on wheels. Over 15,000,000 were produced in 19 years. It was a simple, reliable machine with many minor faults, few major ones. 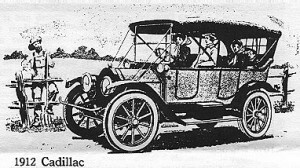 Cadillac’s self-starter of 1912 began the feminization of man’s plaything, the automobile. 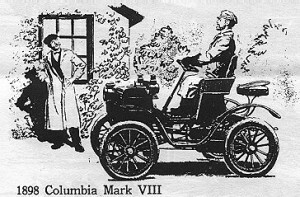 Not the first nor the best self-starter, it was the first to be installed as standard equipment in America. Forerunner of today’s power plants, the Cadillac V8 was the first high-speed V8 engine in America. 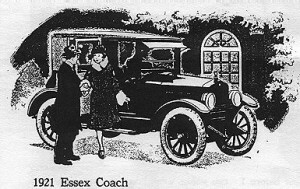 The reliable and well designed engine was concealed beneath a stodgy, lackluster body. Smoothness, and power were combined in the thrilling Packard Twin-Six, best of the 12-cylinder designs. performance of this elegant car proved that there could be more to driving than transportation. When Essex offered the glassed-in comfort of a coach for a price just a bit higher than its open model, a revolution began. 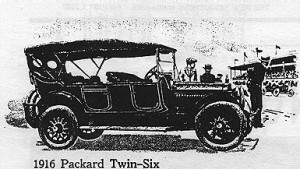 After 1921, the days of the windy, and dusty open car were numbered. 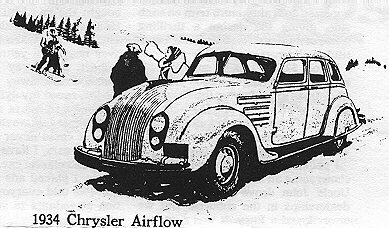 With a high-speed, high-compression engine, with its four- wheel hydraulic brakes, small wheels, and large tires, the firs Chrysler was a space setter for the industry, both in style, and in substance. 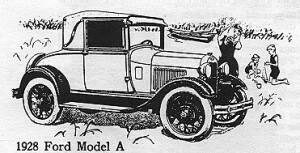 After the Model T came the Model A. 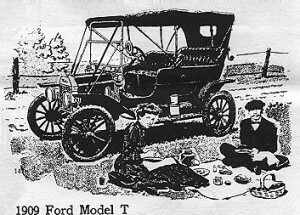 No financial success, the car was simple, reliable, a and rugged. It was basic automobile design at its best. Shatterproof windshield glass was a real safety first. 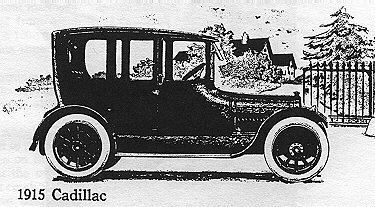 Continuing to make driving easier, the 1929 Cadillac brought out its synchromesh transmission. 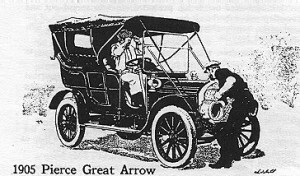 No longer could the novice driver be identified by the grinding noises as he or she shifted the gears. 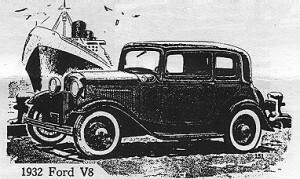 Bold, indeed, was the step Ford took when it introduced the powerful V8 engine into the low-price field, an engine so far advanced, that it was built without major change for 22 years. Nothing since the self-starter has been significant as the automatic transmission. The 1940 Olds was the first to offer a reliable unit, an important step toward the fully automatic car. This “One of a Kind” special desert car was built for the late Sheik of Kuwait to outdo a neighboring sultan’s 19 1/4 – foot palace-on-wheels. 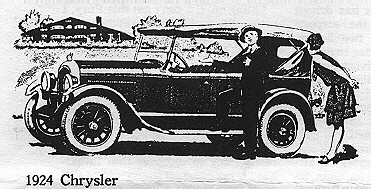 It was 21 1/2 feet long, constructed on Cadillac hearse chassis of 163-inch wheel base. Color was peach-pink. 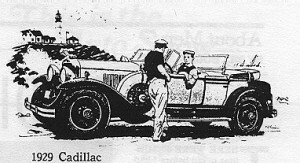 1949 Cadillac – Cost then $30,000. Built By Derham.